Much has been written about the Wi-Fi capability of new cameras. But how do you integrate these features into a useful workflow? As a real-world example, here is the workflow that I used to cover the Consumer Electronics Show in Las Vegas this year. With these tools, I was able to use remote-control capture, transfer pictures to mobile devices, sort images, apply filters, and publish to online sites. Using the iPhone 5s and the iPad mini with Retina display, I published photos daily from the Las Vegas Convention Center, while my MacBook Pro was locked in the hotel room safe. Before leaving for my assignment, I downloaded and tested the EOS Remote and the Olympus Image Share iOS apps on both devices. My iPad mini uses Verizon cellular and my iPhone 5s uses AT&T. If the network for one device is jammed, odds are good that I can get through on the other. This proved true in Las Vegas. Show organizers helped by beefing up cellular connectivity on site. EOS Remote displaying captured files and their metadata. The JPEGs that appear on either device are automatically backed up via Photo Stream and Loom. So even though I may have edited a file on the iPad, I can use it on the iPhone later thanks to cloud sharing across my devices. 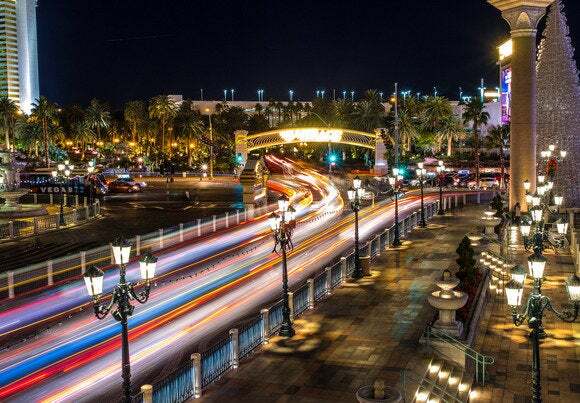 I captured the night photography that would be used for Facebook banners and intros to articles by using the Remote Control function of Olympus Image Share. This allowed me to position the camera for the best composition, even if it was at an awkward viewing angle, and then comfortably control it from the iPhone or iPad. Using the Wi-Fi connectivity of the E-M1 with the iOS app Olympus Image Share, I was able to use the Remote Control function to capture this image, and then save it to the iPad for editing and publishing. The Olympus Image Share app shows a preview of the scene on my iOS device and allows me to change camera settings, including exposure mode, white balance, drive settings, ISO, and more. I can position the camera at a distance from my perch, then trigger the shutter as desired from the mobile device. Once I’ve made the exposure, a preview is displayed on my iPad, giving me the option to save to my Camera Roll. And for those of us who like long exposures and night photography, both Live Bulb and Live Time are supported. 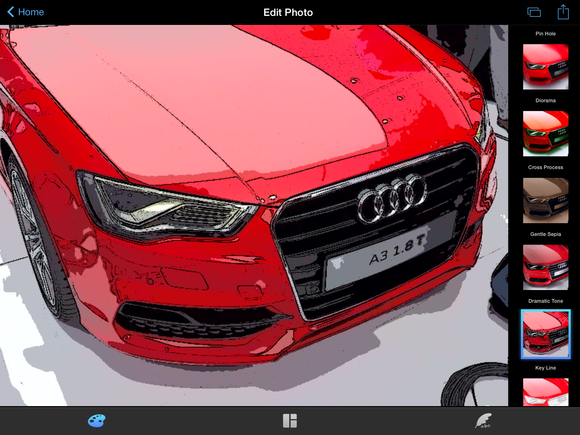 There are a variety of art filters in Olympus Image Share. Olympus Image Share has a variety of art filters that provide alternatives to Instagram and Flickr filters. Sometimes I applied one of these before saving the image to the Camera Roll. Canon has two apps that support camera Wi-Fi, depending on the camera you have. Using the EOS Remote app gives me lots of control. With the DSLRs, such as the EOS 70D, I pair the camera using EOS Remote. Controls include shutter release, exposure compensation, the ISO setting, camera LCD on/off, and focus point. This app also offers a decent amount of camera info in live view. 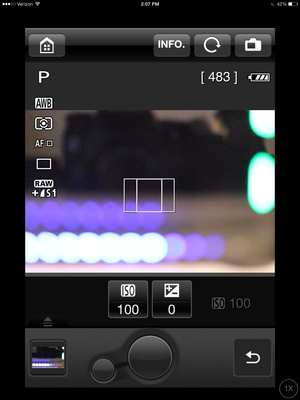 I can see the exposure mode, white balance setting, metering pattern, drive setting, file format, frames remaining, and battery indicator. When I take a picture, a thumbnail is added to a filmstrip within the app. This enables me to preview the images by tapping on a thumbnail within EOS Remote, so I don’t have to leave the Remote Shooting screen. When it’s time to work with the pictures I’ve captured, I return to the home screen and select Camera Image Viewing. 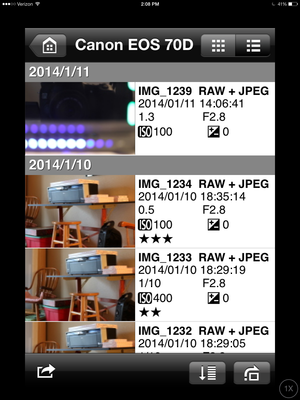 Here I see basic metadata for each shot, apply star ratings, delete images, or save them to the Camera Roll. EOS Remote is very handy for an on-the-go workflow. 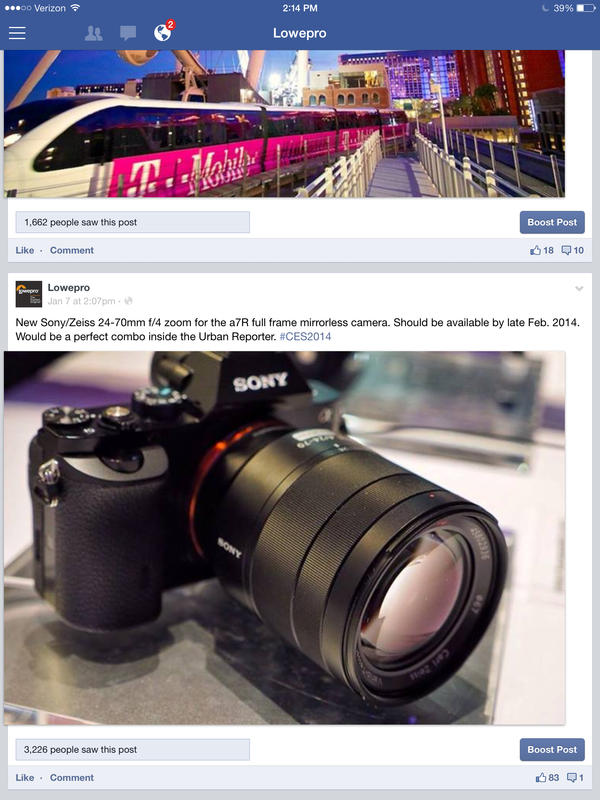 It’s easy to rate and sort the shoot, quickly narrowing down the best images for publishing. Once I’ve made my decisions, I then save the highly rated selections to my Camera Roll for further work or posting online. On the downside, very little metadata is handed off with the image from EOS Remote to the Camera Roll. So if you need EXIF or IPTC info, you’ll have to add it yourself with a different iOS app such as Photogene. I upload images with captions to clients’ social networking sites directly from the iPad in the field. Generally, if time allows, I will edit my selections before publishing. I use Snapseed and iPhoto for iOS to handle these tasks. Since I’ve saved my chosen images to the Camera Roll, the pictures are available in all of my iOS editing apps. Publishing is easy. I use Tweetbot, Squarespace Blog, Flickr, Instagram, and Facebook to post my reports with images online. Typically, these aren’t the final renditions of my photos, but they certainly look fine online. After I return to the hotel room, I can transfer the Raw files to my MacBook Pro running Aperture and Lightroom. These are the master files that I can use for printing or for high-resolution display. Wi-Fi-enabled cameras can do more than just move photos from one device to another. The best of the hardware/software tandems provide an integrated environment that adds efficiency to field work. And the best part is, you can still retain the highest-quality versions of your pictures while working quickly in the field, because the Raw files remain available for editing with your computer applications.